This site has a great range of glasses to choose from and if you know your glasses prescription, they can easily add that to your selected frame! Even better, you can also choose prescription sunglasses from this site! 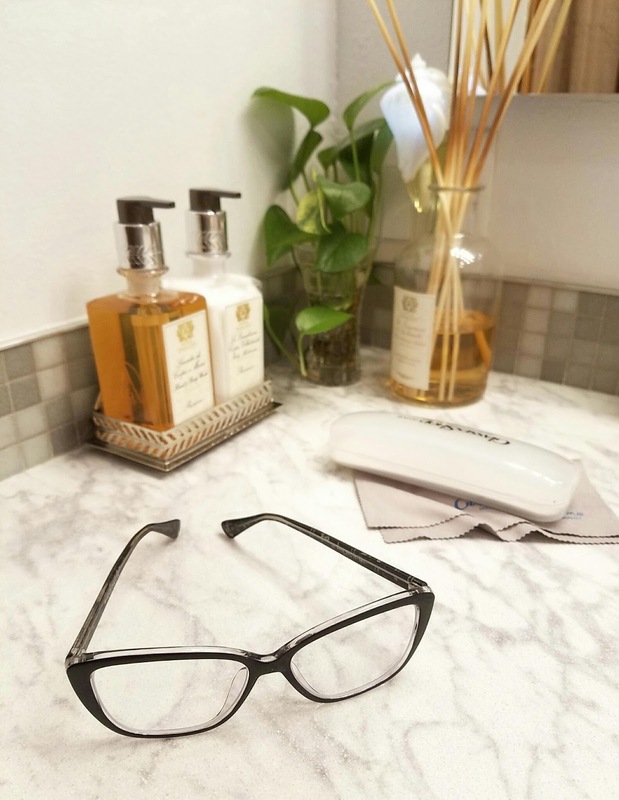 Even if you don't know your prescription, you can treat these glasses like any other accessory and get them with plano lenses. The pair I choose was the Hoboken Cat Eye. I don't own any glasses, or even sunglasses for the matter, in a cat eye shape and have always wanted to try them out and this pair seemed to have a subtle enough cat eye shape to try out. I definitely feel like I have a bit more personality when I wear these frames. I wanted the glasses to pop which is why I wore this black and white outfit. I liked the contrast of the stripes from the dress and shoes against the all white shirt and feel that the glasses dressed this look up a bit more. These frames are durable and are great quality. They come in a case with a class cleaner. I was worried that this frame wouldn't sit right on my nose since I don't exactly have a nose bridge but this they don't slide down too much on my face! If you're looking for a good cat eye frame (glasses or sunglasses), I recommend checking this style out! If you're interested in getting a new pair of glasses or sunglasses in general (prescription or non), check out GlassesShop.com and use the promo code GSHOT50 for 50% off eyeglasses and sunglasses with free lenses (sale frames are excluded). Do you guys enjoy wearing glasses? Let me know!